Customer Problem Solved - Sew What Sew Anything - Sew What? Sew Anything! I love to get this type of phone call: “I’m not sure if they make this product but…” and the caller goes on to describe to me what the problem is that they are having with their home. I would love to say that I know everything about shades, but I don’t. However I do know someone that that does. Lou Srock sales manager for Alta shades and Blinds. I have been working with Lou for almost 4 years now. Lou is my go-to expert. Lou explained that Alta had just come out with a new Lift and Lock cordless honeycomb and solar shade combination. Wow was I in luck. It uses any honeycomb shade product that Alta sells, and offers it in combination with three solar shades selections. So my response was …Yes we do have that type of product. 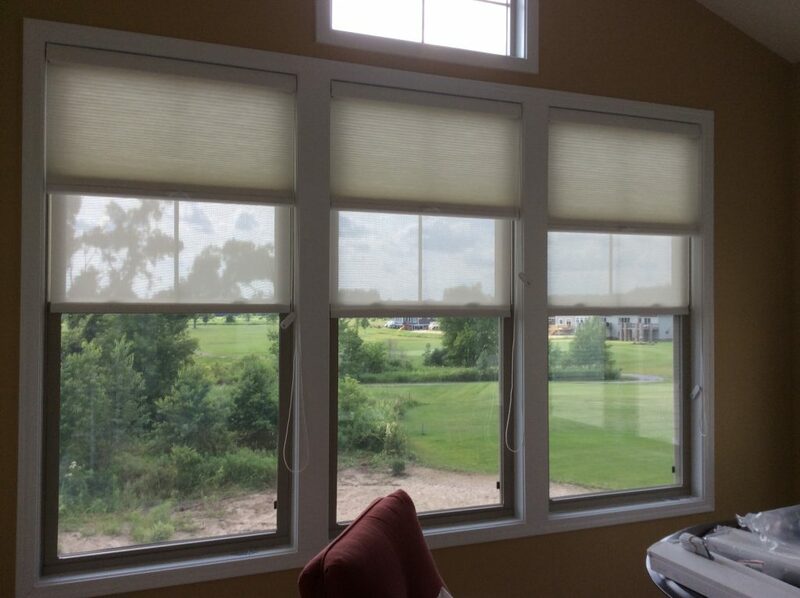 Alta offers this shade with two different protections functions for homes with rooms that get a lot of sunshine. Mostly, this is eastern and western exposure homes. The sun really beats down into these homes. This is where your heating and your cooling dollars are escaping. So adding shades which allow you to see through the shade, like a solar shade, will decrease the heat in the summer coming into your home. This shade also will give you the protection against the cold in the winter months with the honeycomb protection. I call it the twofer! So these shades were installed just a few weeks ago. My client instantly stood in front of the window and exclaimed “yes it is cooler!” Wow, client happy, I’m happy! Another twofer.